To celebrate the release of The Square we have teamed up with The Other Art Fair to bring you an exclusive competition. 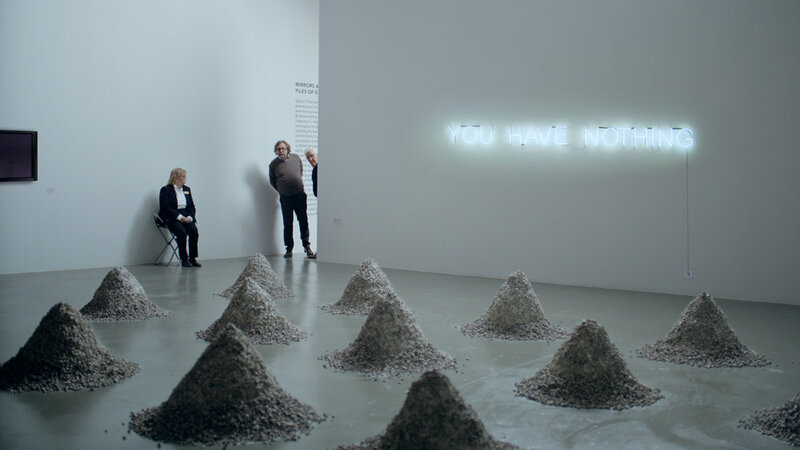 Ruben Östlund's Palme d’Or winner The Square is a knife-sharp satire on art, culture and communication in the digital age, starring Claes Bang (The Bridge), Elisabeth Moss (The Handmaid's Tale, Mad Men) and Dominic West (The Wire). Christian (Bang) is a divorced but devoted father of two, and the respected curator of a contemporary art museum in Stockholm. He's gearing up to launch their next show, ‘The Square’, a daring installation examining altruism and our duty to help others. However, Christian's own views on social responsibility are put to the test when he becomes the victim of a scam, forcing him to question the world around him and his place in it. Meanwhile, a shocking viral stunt cooked up by the museum's PR agency is met with public outcry, sending Christian – and the museum – into an existential crisis. Visit The Square virtual gallery here on the Curzon blog. The Other Art Fair, presented by Saatchi Art, is the UK's favourite place to meet and buy art directly from the very best emerging and undiscovered artists. This 22-25 March, the fair returns to Central London's historic Victoria House to present 120 of the best emerging artists handpicked by a committee of art industry experts. Celebrated for its unique visitor experience, The Other Art Fair’s Spring London edition will continue to delight and inspire art lovers with a tightly curated and distinctive programme of fair features that will create a platform for the ‘unexpected' at the fair. In conjunction with The Square, we are delighted to be able to offer 10 pairs of free tickets to the private view of The Other Art Fair on 22 March. In The Square we witness a live performance by an artist called 'Oleg' whose work revolves around imitating ape behaviour. Which well-known actor, stunt double and movement coach (who also appeared in Avatar, The Adventures of Tintin: Secrets of the Unicorn, the Planet of the Apes series, and The Hobbit trilogy) plays Oleg? Tweet your answer to @CurzonCinemas using #TheSquare or email win@curzon.com with 'The Square' in the subject line. Winners will announced on Tuesday 20 March. However, if you don’t win though there’s no need to miss out - you can still get 50% off tickets to the fair’s public days, from 23-25 March. Simply follow the link below and enter the code CURZON50 to secure yours today. Tickets are limited so you’ll have to hurry! The Other Art Fair ticket holders can also grab themselves a free glass of house wine, soft drink or hot beverage when buying a ticket to see The Square at Curzon Bloomsbury just next door!